A review of the best science on the usefulness of homeopathy to treat a variety of conditions. What about homeopathy? Not for canker sores—but for ADHD, asthma, cancer, dementia, influenza, and the induction of labor? A meta-analysis of all the best studies was published this year covering all those conditions. Homeopathy: good, bad, or a waste of money? According to the best science we have: useless. Med J Aust. 2010 Apr 19;192(8):458-60. Homeopathy: what does the "best" evidence tell us? Donnelly, L. Homeopathy is witchcraft, say doctors. The Telegraph. 15 May 2010. Republishing "Is Homeopathy Just Placebo?" And check out my other videos on common nutrition myths. Please feel free to post any ask-the-doctor type questions here in the comments section and I’d be happy to try to answer them. And check out the other videos on common nutrition myths. Also, there are 1,449 other subjects covered in the rest of my videos–please feel free to explore them as well! I suppose all the people I know, myself included, that were sent home by their doctor to get their ‘bizness’ in order due to their short-term contract with God would disagree with you. Kangen Water and Protandim saved my life and many others. I hear testimonies regularly. Are there any studies comparing IQ, or educational levels, with those rate of belief in things like homeopathy, acupuncture, reiki, “kangen water”, etc? I started looking into homeopathy lately. I’m shocked that so many people subscribe to it! Total snake oil. Sounds nearly as dubious as “faith healing” to me, except that the special diluted/holy water goes in your mouth instead of sprinkled on your forehead. 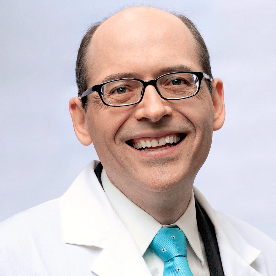 Very dissappointed in Dr. Greger. There is nothing in this video that is objective. You just say its witch craft Just great. You are sir ignorant and a Bigot! It’s important to note at this point that placebo results are very powerful and sometimes more powerful than; for example the use of SSRI drugs. All drugs; like anything else, are vibrations or frequencies or resonance. Obviously the placebos rely on the brain or organs to release endogenous neurotransmitters or hormones rather than injecting exogenous versions. Totally agree with you – maharawj :-) Well thought out. Anyone who can believe in the “theory” of vibrational energy, and that INCREASING the dilution of a substance simultaneously INCREASES its potency really isn’t paying attention. Faith in things that make no logical sense might be nice in some parts of your life, but medicine should be based on SCIENCE. When taken homeopathic remedies Internally, there may be little benefits to adults. But how can you call in a placebo? Babies do not fall into the trickery of the placebo affect, yet have experienced NEGATIVE OVERDOSING of homeopathic remedies. This proves that although they make not be strong enough to be taken Internally by adults, they are still NOT placebo. For adults, stick to the Topical ointments only. I experienced homeopathy in a negative way. I was given several different remedies and become quite ill for months. I have used some that seem to work. I feel it depends on the constitution of the person and the type of remedy given. ” Witchcraft’ in my world has a positive meaning, the ‘herbalists’ were known as witches, and most everyone would agree, that herbs are a potent form of healing the body. What’s sad is that NIH and CDC thought this crap “study” was even worth looking at. That’s not how you do a medical test. To learn more about placebo and related topics lookup Rupert Sheldrake and Bruce Lipton. Fascinating youtube videos with almost as much empirical support as Dr Greger. Thank you, people really need more exposure to the facts when it comes to this nonsense. I would’ve liked to see a more in-depth piece though, Ie., how many studies in the meta-study, proportion of studies finding effect vs. finding no effect, quality rating for both sides. Most of all, i’d like to see an explanation of how homeopathy claims to work (the excuses have varied over the years). I’ve found many homeopathy proponents don’t even know how it supposedly works. Which might explain why they think it works at all. There was a metastudy done on acupuncture as well. I’d love to see you cover that too. None of those “studies” are reliable. Look who is doing them. The last two are obvious by looking at their site names. The first is merely a database held by the NIH, which sadly, happened to pull up not a real piece of scientific research, but an article from a British homeopathy “journal”. May as well believe that Astrology journals claim too. Dr. Gregor, I am mostly vegan. I don’t use meat, and I hardly ever use dairy or eggs. My health indicators are good. My cholesterol is low, and my iron is sufficient even though I am a regular blood donor. My doctor is concerned about my ferritin. It is so low, that it is practically off the chart. He suggested that I either eat meat or take iron supplements. My own feeling is that he is comparing my ferritin levels with those of meat eaters, and that there ought to be a different standard for vegans. I am not concerned about my health, as I have lots of energy and I really feel great. In fact, I really, really feel great!! Do you think that I should be more concerned about my ferritin level, and if so, what do you suggest? I am 52 years old. anita.abramovitch@gmail.com Many thanks, Anita Abramovitch. Here are Dr. Greger’s recommendations on iron. You should try to eat vitamin c rich foods with your iron rich sources such as whole wheat products and beans. Try to consume cruciferous greens such as collards, kale and bok choy as these are low oxalate greens. For more information on mineral enhancement. Check out this video. Can you elaborate why you conclude homeopathy is useless? As far as I can see, the systemic review only concludes that homeopathy is not an evidence based treatment. I’ve had a seleveral miles long facebook discussion about the subject and we managed to find some trials that concluded that the homeopathic remedy was equally effective as the established remedy. All were lacking placebo though, but I don’t think it rules homeopathy out. It just shows that you will get results no matter wich remedy you use. I think more research needs to be done. As a response to homeopathy does not make logical sense, I agree. But that does not mean it is wrong, it just means that with our current understanding of the world, it sounds upside down. But wasn’t it the same thing that happened when someone discovered bacteria? Everybody could see that this glass of water has no ingredients, so it is wrong to say that it is full of bacteria that can make you sick. No, they just didn’t have the tools then, to see bacteria. Maybe we are in the same situation today: we can measure with our tools, that there are no ingredients left in homeopathic medicine, so it must be wrong. Maybe we just don’t have the rigth tools yet? Homeopathy is energetic medicine that can be explained by quantum physics as far as I understand. The sugar, alcohol or water that is diluted, carries energetic information from the matter it has been in contact with from the beginning. In the following experiment they could measure the degree of each potency from purchased remedies and see that the higher the dilution, the higher the energetic load. The experiment is not conclusive and obviously need to be replicated by non homeopaths. Again, I think more research needs to be done. The difficulty with homeopathy when trying to compare it to allopathic medicine is that homeopathy medicine is for the particular person – not for/ against a cerrtain disease. This means that one cannot declare a certain remedy curing e.g. ADHD. The practitioner heals the person and may therefore give all her ADHD patients different remedies. Also, classical homeopathy practitioners would never mix remedies or change them in a fast sequence – they don’t do this to keep track of whether actually their choice renders success. This big misconception of homeopathy – that remedy A heals e.g. headaches – leads to random results. So homeopathy renders potent results – but only when administered by a talented practitioner… and that’s its biggest weakness. Lots of great information on this site and I really appreciate all the science to back up the information. I’ll admit though that when I came to look at the information on homeopathy, I was a little apprehensive. The reason being that if Homeopathy got the thumbs up, I would have felt that the rest of the information on the site was a little dubious. Excellent, Homeopathy gets the thumbs down. It seems that many sites that promote a plant based diet also promote pseudoscience, which I think can be really of putting to the more scientifically minded amung us. why when I give bryonia 5ch to my son his fever goes down by 0,5 (C°) then after 1 hrs it goes up again..I give him begonia and it goes down. And I’ve been doing this since he was a newborn so no placebo effect for him (sometimes I put it in a bit of water). Masaru Emoto demonstrated that water molecules retain information, so even if the dilution is elevated that doesn’t matter. I think homeopathy works but you have to find the right remedy for the problem you have, which is difficult..
Oh, certainly they spend a lot of money to prove that the only way to be treated is – buy an official meds, which are useless and so dangerous that even kill better than illness itself. So there is no wonder that many researchers (for a little salary) try to prove useless of at least safe medication. Isn’t it the same people that prove tobacco actually even prevent cancer ( I saw even such reports). As it was said, they could even disprove gravity if you pay for that. Homeopathy may or may not be useful, but the propaganda tide against is scary me much more, than just sugar pills. I don’t believe you can call it propaganda if it’s based on facts. This is a really disappointing video. I’ve followed Dr. Greger’s research on foods for awhile, and have How Not to Die. I know this is an old video, but this really shows the limitations of what kinds of healing knowledge he has available to him. Anyone who has ever experienced homeopathy knows better, and there is research on it out there to be found. I’ve worked in an office where I’ve seen countless numbers of people be healed using homeopathy, myself included. It’s unfortunate that the kind of science we employ has these kinds of limitations, and keeps people from experiencing other forms of healing. It’s called a placebo effect for a reason. I’ve taken homeopathic remedies before and they do not work. So there goes your idea that anyone who has experienced homeopathy would know better. Sometimes science doesn’t agree with your beliefs and you have to remember that. Disappointing, but it’s better to accept the truth than cling to beliefs that are wrong. I’m in the medical field and 100% appreciate and abide by good research in my field. But it’s also important to understand the limitations that the science we currently use has, or else how can we continue to get better and to progress? To ask questions, to wonder? Just because the science we currently worship doesn’t know how to yet measure individualized medicine does not mean that one day it won’t, or that there is nothing there. Clinically, homeopathy is relevant, effective, and popular, world-wide. It is however, extremely specific and extremely individualized. I went through a number of remedies before I was given one that was correct for me, and realized the power there. I too was a critic before I actually experienced what sort of healing benefits were there. Clinically, it is by no means only placebo effect. Scientists are using homeopathy on plants and animals, with positive results, where placebo becomes irrelevant. Good science is sometimes discounted unfortunately when it doesn’t fit into the accepted parameters that our current culture prescribes. Luckily in other fields a lot of the science being done is expanding. I’d encourage you to read this article, if you have the time; it gives a look at how research may be able to progress and change as we move forward in our thinking of health, well-being, and healing.